OMG Posters! 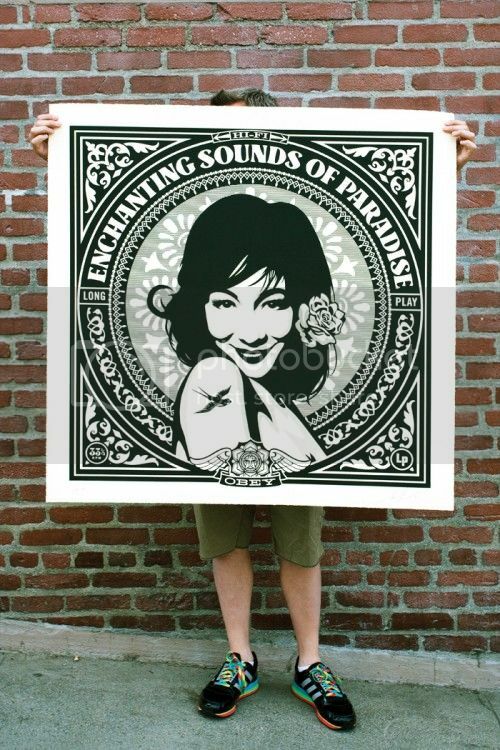 » Archive New Large-Format Art Prints by Shepard Fairey (Onsale Info) - OMG Posters! Shepard Fairey will be offering some HUGE new art prints tomorrow. 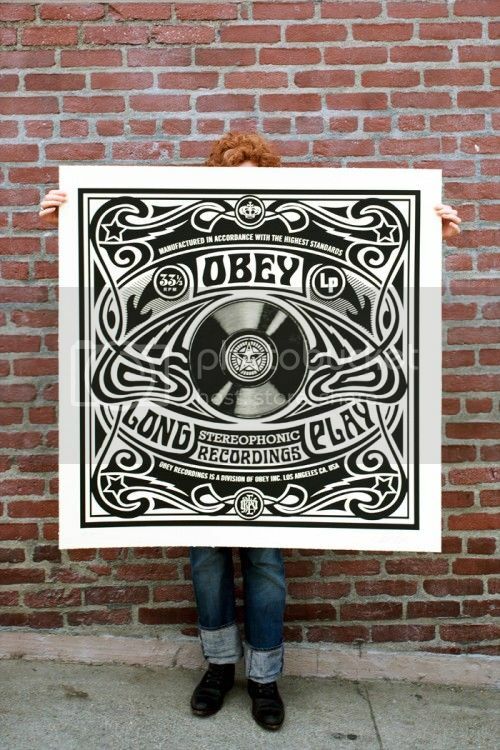 “Long Play”, “Enchanting Sounds”, and “Lotus” are all 42″ x 42″ screenprints, have editions of 40, and will cost $500 each. They go up tomorrow (Thursday, April 28th) at a random time. 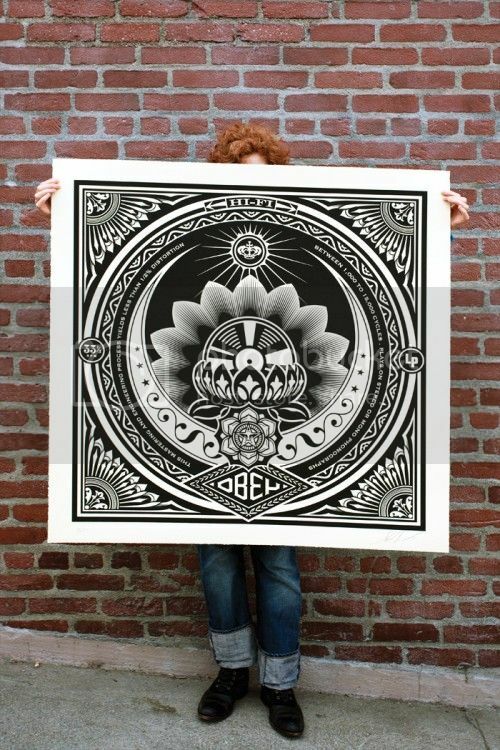 Visit ObeyGiant.com.